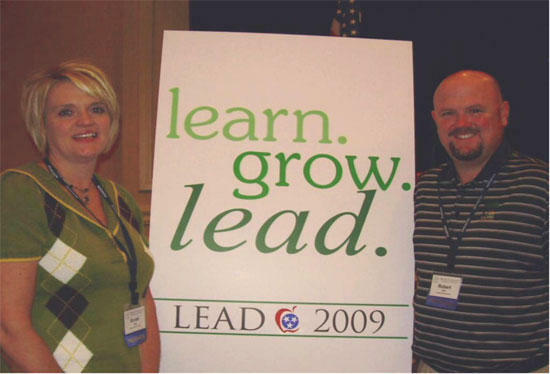 Two area principals were recently selected to present at the Tennessee Department of Education’s LEADership Conference. Karen King, principal of East Side School and Robert Sain, principal of West Side School offered a session entitled “Lessons from A First Year Principal” which focused on things they have learned after becoming principals. The goal of the session was to provide other first year principals with information to help them through their first year. The session was well attended and the principals have been asked to present the session again at next year’s conference.